Hippolytushoef, The Netherlands (June 17th 2014).CT Systems officially releases their world first, true all in one, dredging computer called GeoDredge. GeoDredge houses all necessary components in a rugged and compact housing, offering maximum installation and maximum user friendliness. GeoDredge acts as a hardware platform for the tried and tested Viking software. 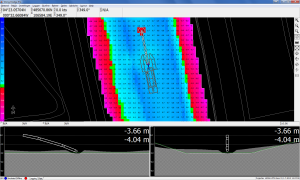 With the combination of the renowned user friendliness of the Viking Software, and the installation and maintenance simplicity of GeoDredge CT Systems offers a revolutionary total-solution package. The goal of CT Systems is that virtually any operator will be able to operate the system without any prior extensive training. With the advent of GeoDredge it is no longer necessary to install separate components resulting in bulky installations with ensuing cable chaos. 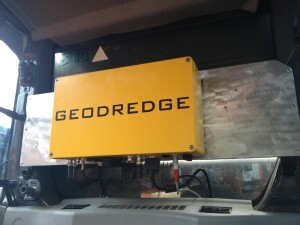 GeoDredge utilises an internal industrial computer, fully featured (RTK/DGPS) GNSS receiver, UHF communication, industrial GSM/UMTS modem, sensor interfacing and all power distribution. Due to meticulous design of GeoDredge’s internal interfacing virtually all major GNSS manufacturers are supported on direct OEM level. 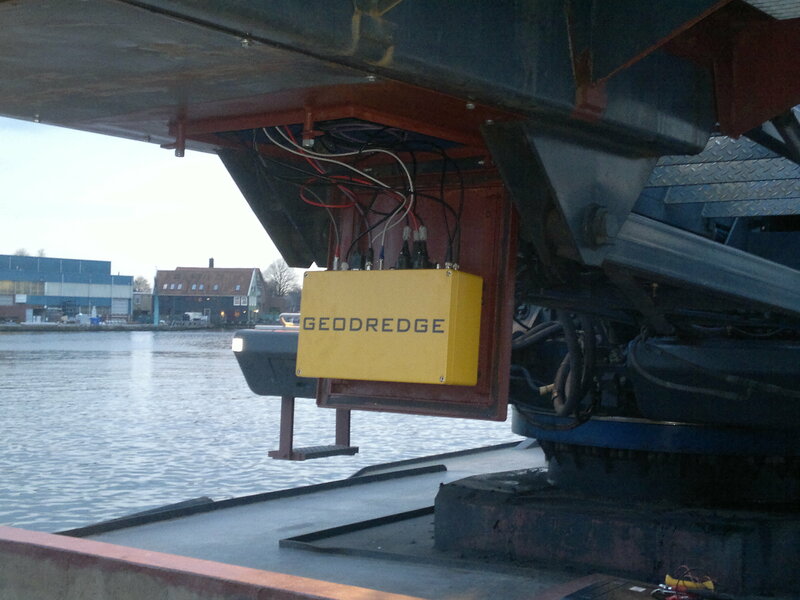 GeoDredge is targeted at dredging machines and vessels where installation room is limited and ease of use of the monitoring equipment is required. 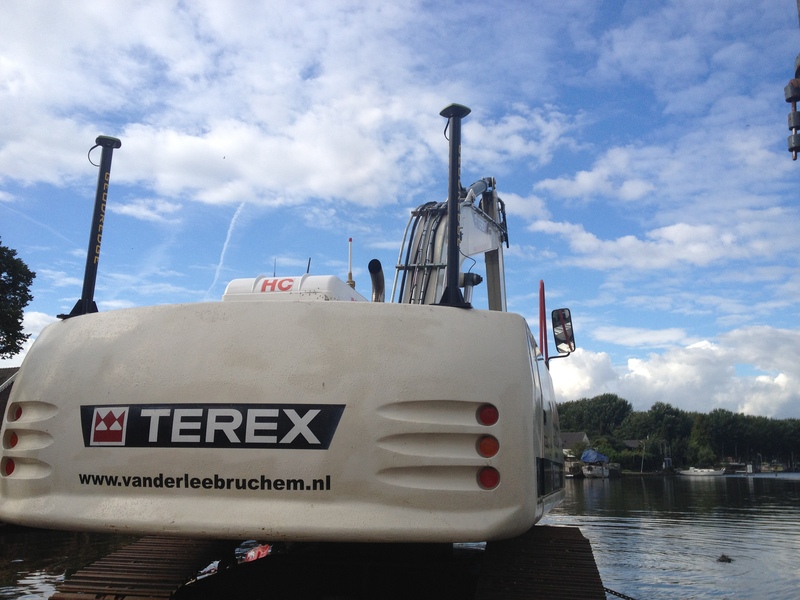 While initially built for hydraulic dredge excavators, the system soon after expanded to also actively support machines such as grab dredgers and cutter-suction dredgers. GeoDredge is fully conceived, developed and built in-house by CT Systems, enabling them to offer full after sales support. 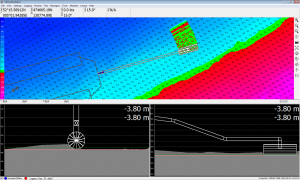 Being a total solution provider CT Systems can also fulfil complete installations of a GeoDredge system, including all sensors, wiring, calibrations and project preparations. CT Systems is an innovative company in business for over thirty five years and is highly experienced in every professional maritime sector. Situated on a central location along the Dutch coast line, nearby Den Helder, the Capital of the North Sea. 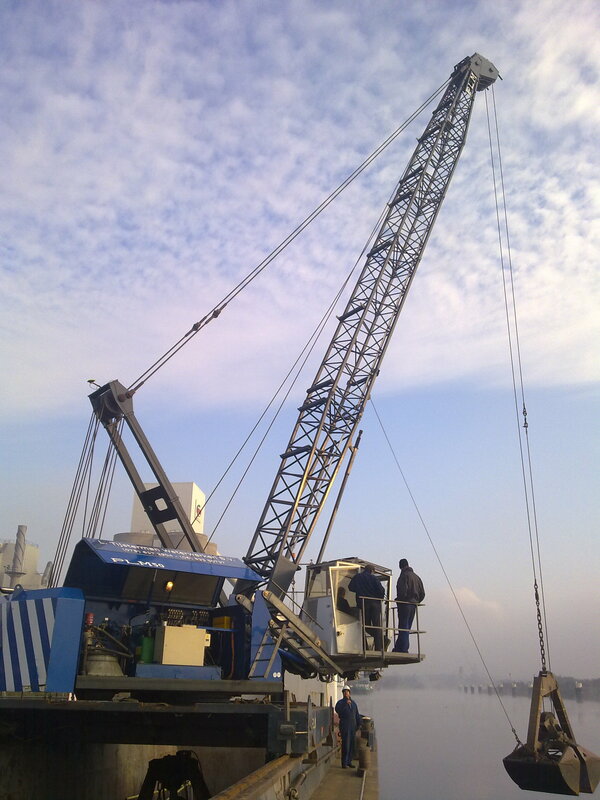 The main activities are development and installation of hardware and software for use in the offshore, survey, maritime construction, and dredging sector. 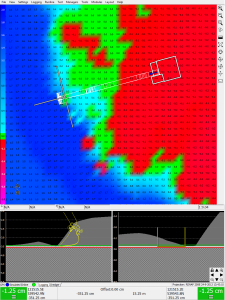 CT Systems also provides related services, such as the pre- and post processing of data for both onshore and offshore projects, and perform hydrographic surveys. For further information and product pictures you can contact Mr. Julian van der Vaart via +31(0)227 591295 or via email: julian@ctsystems.eu. Please click on the images below for a large version. 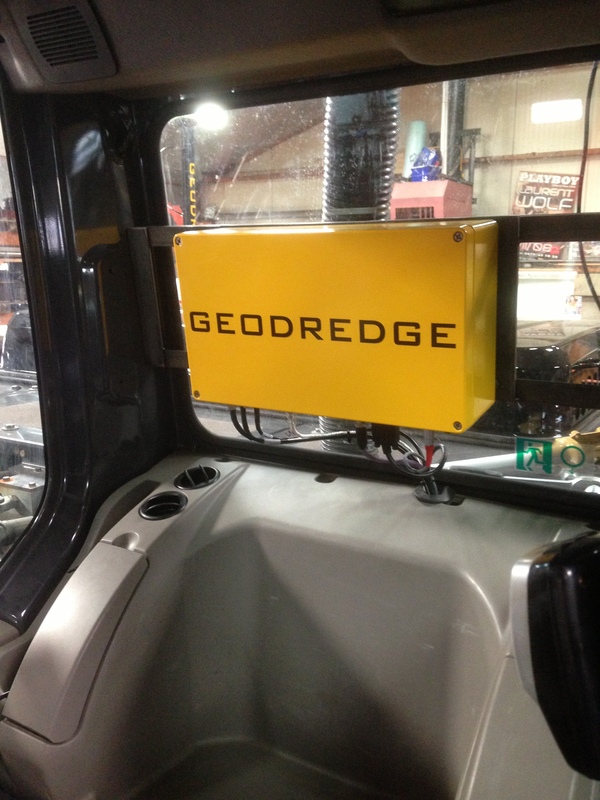 GeoDredge installed in the back of an excavator. 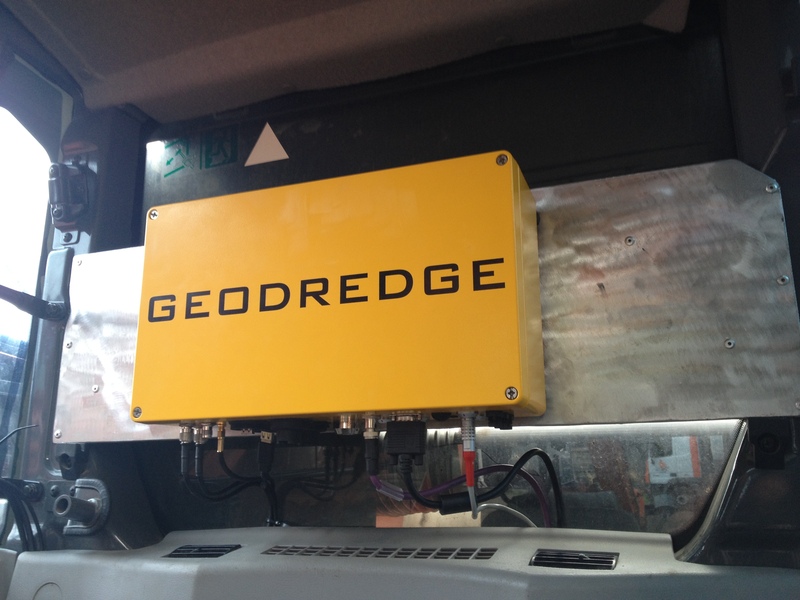 GeoDredge neatly installed in the back of an excavator. A GeoDredge system installed below the cabin of a large excavator. 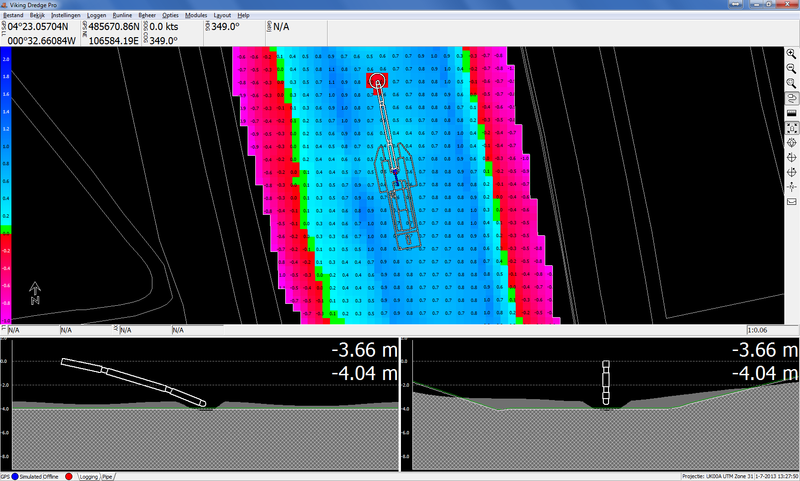 One of the first grab dredgers to receive a full 3D GeoDredge system. The two RTK GPS antennas installed on their GeoDredge antenna masts. 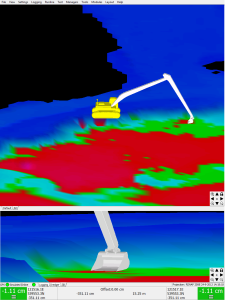 3D View of the GeoDredge system in operation on an excavator. Top, side and front view of an excavator in the Viking software. 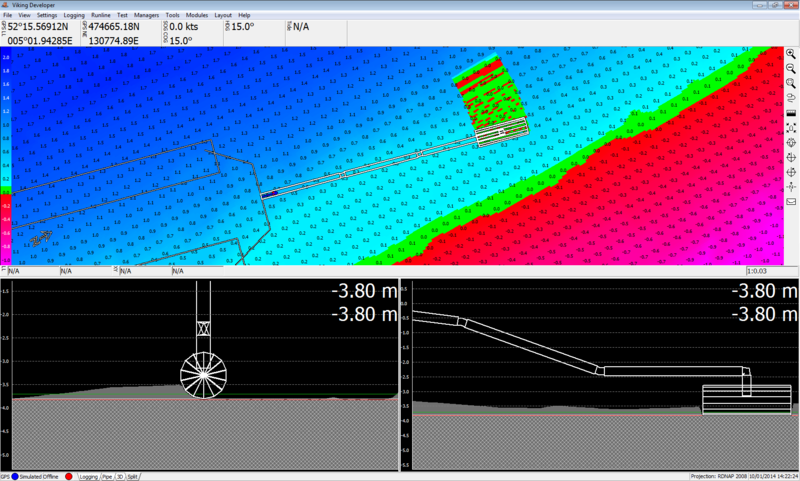 An auger dredge visualised in the Viking Software. Top, front and side view of a cutter suction dredger. 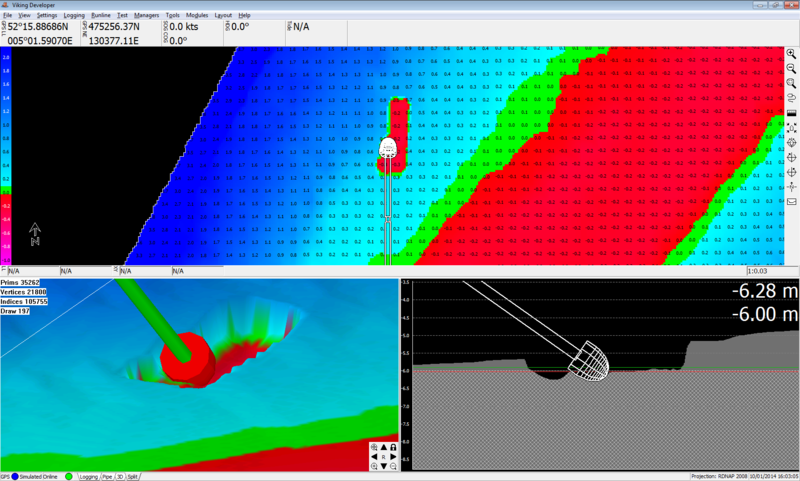 3D Representation of a cutter suction dredge head as seen in the Viking software. 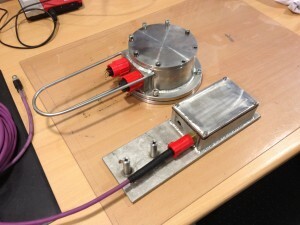 Both versions of the stainless steel sensors supplied with a GeoDredge system.